This video of Holy, Holy, Holy is a live recording featuring the Herald Brass. They are performing at a family campground. This song is one of the selections on the CD. 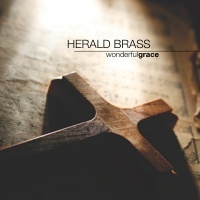 You can purchase the Wonderful Grace CD to be sent to you home or office in the United States. Cost is $12.00 each plus shipping.